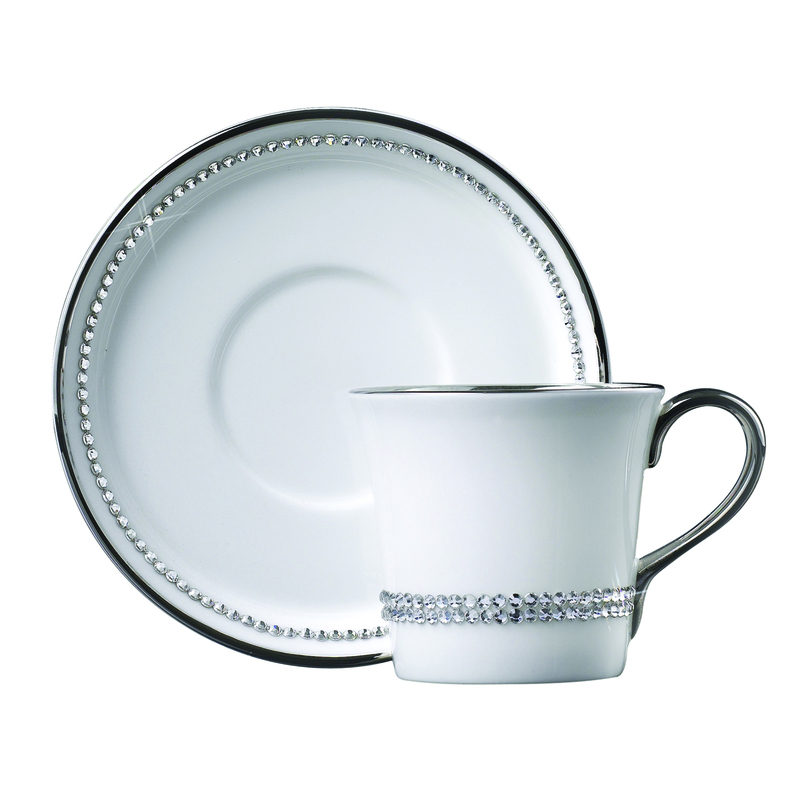 Prouna Fine Bone China specializes in creating tabletop items that combine fine English bone china with Swarovski Elements crystals, for a look that's both festive and refined. 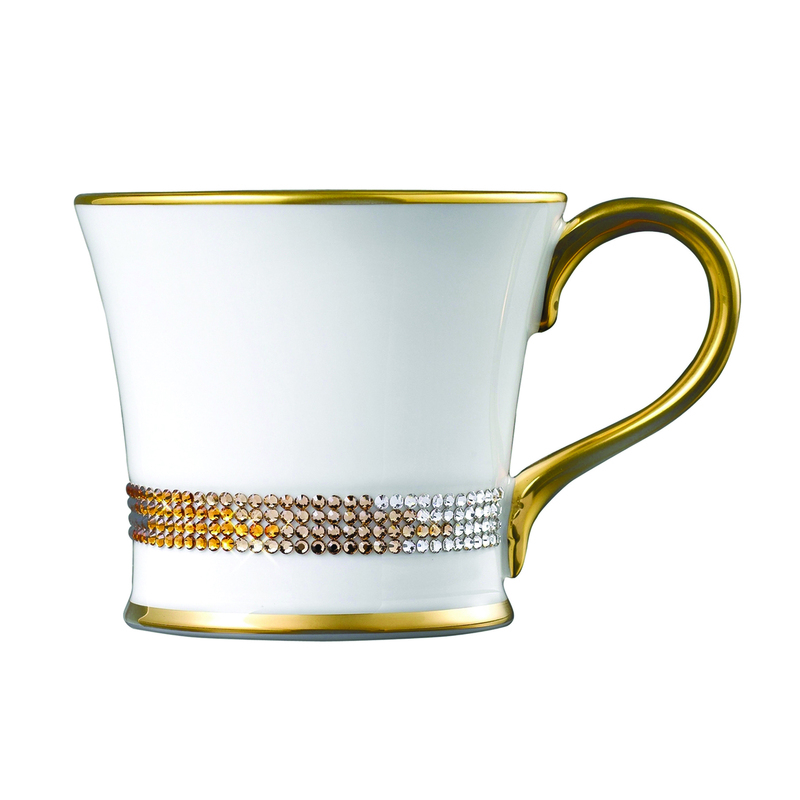 Every Prouna item is hand painted with 24kt gold or platinum. 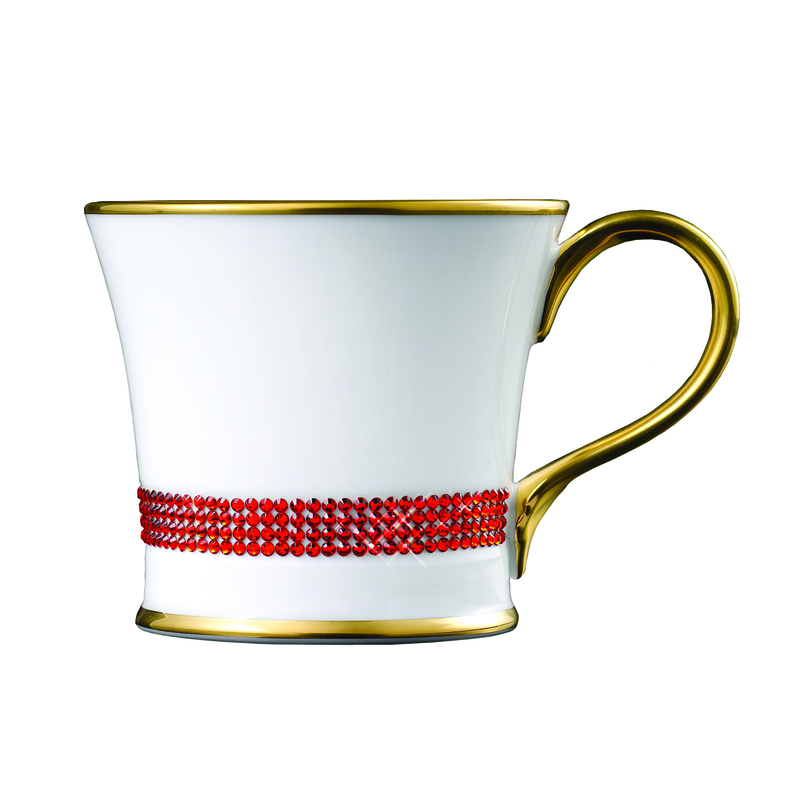 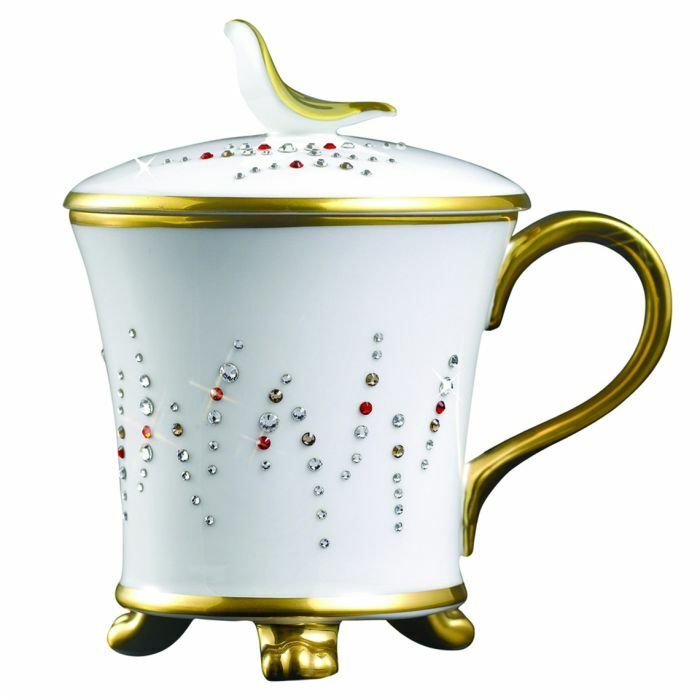 Material: Fine Bone China, 24 kt gold or platinum, and Swarovski Crystals. 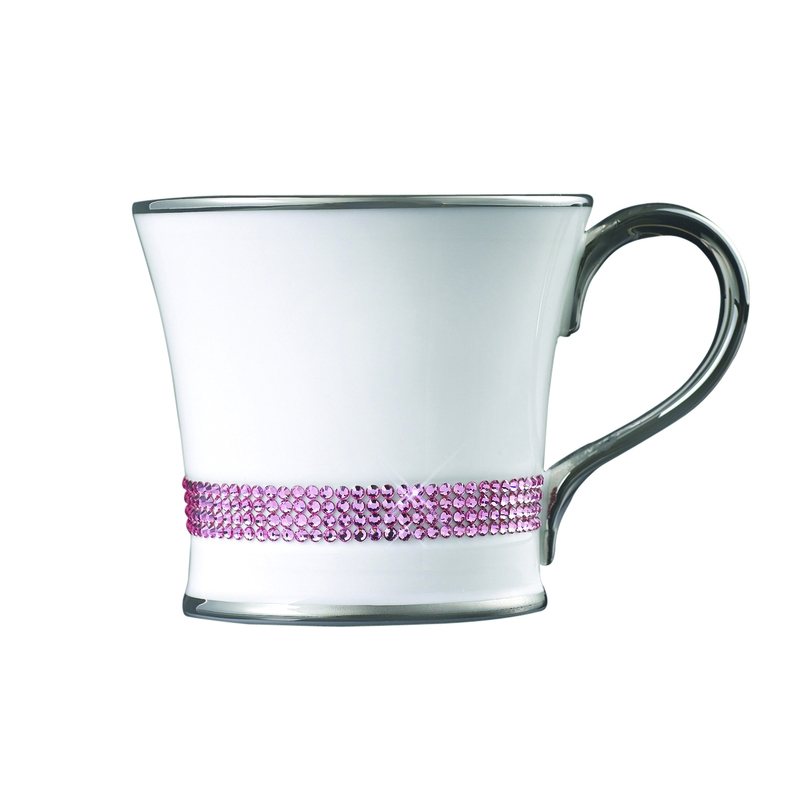 Care: According to tests performed by Reckitt Benckiser Produktion Gmbh laboratory in Germany, the Swarovski crystals on the Prouna Jewelry collections are durable in the dishwasher up to 700 washing cycles. 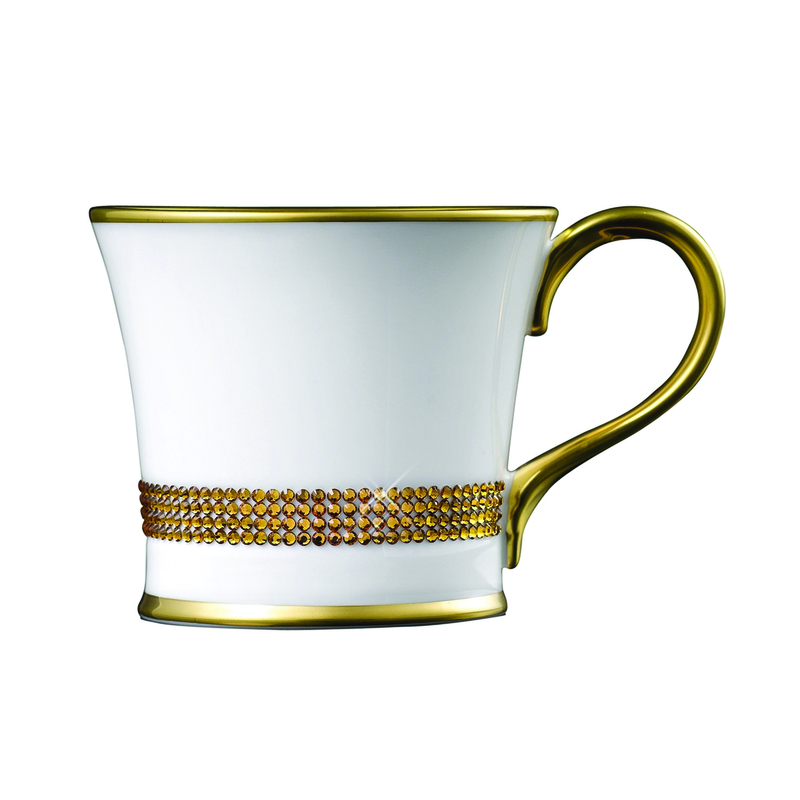 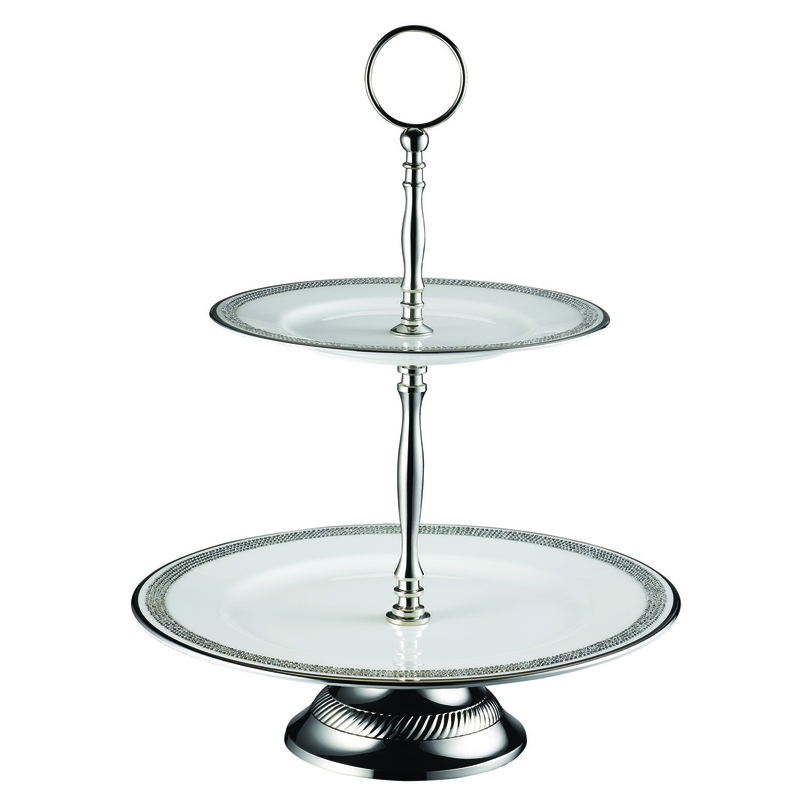 However, we highly recommend hand washing with a sponge due to the 24kt gold and platinum plate used. 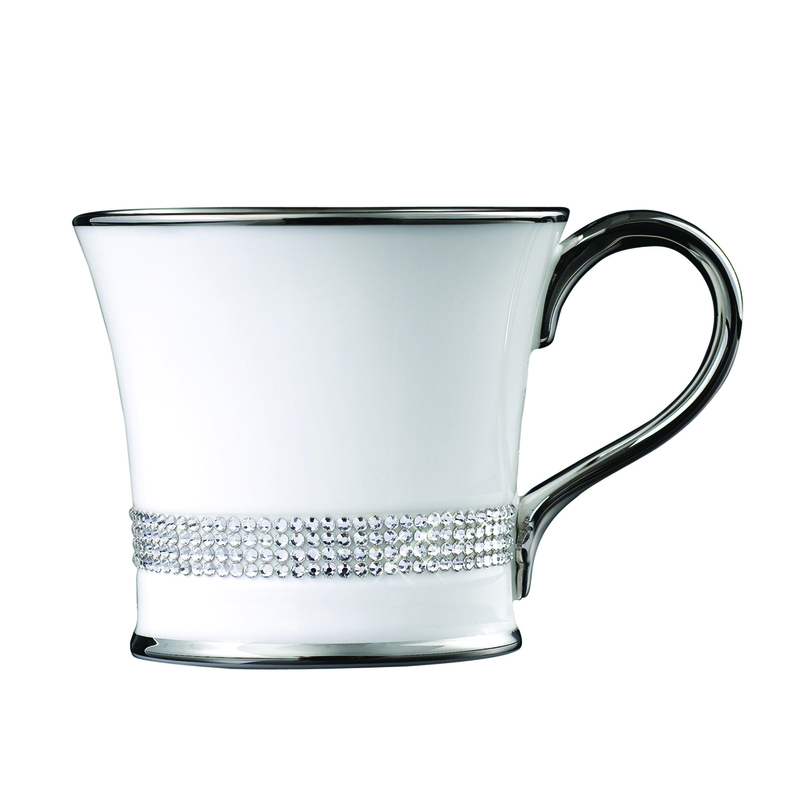 Exposing crystallized products to strong acid or alkali liquid can damage crystal stones. 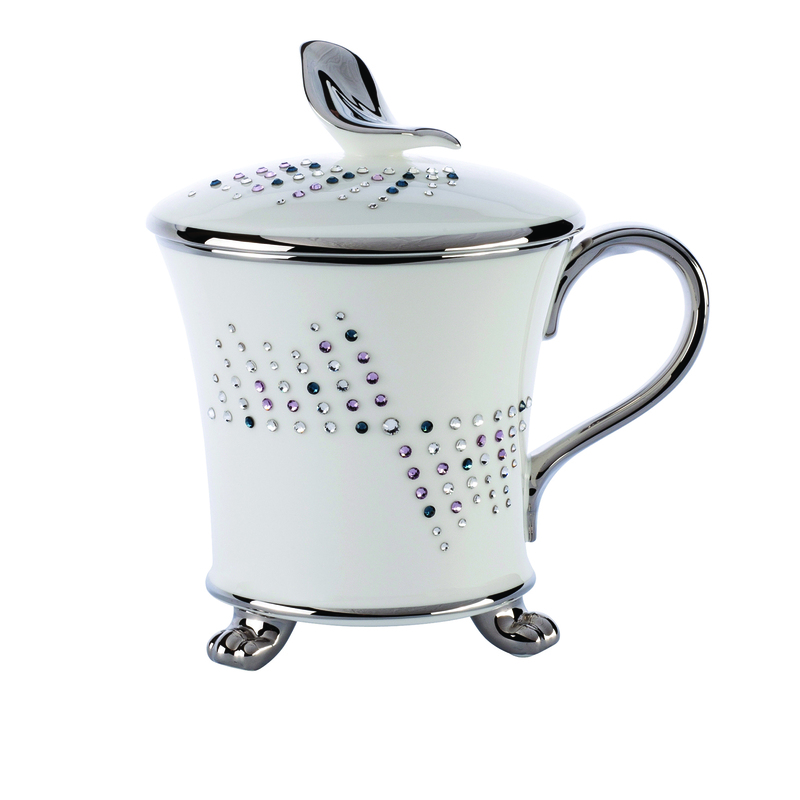 Do not wash with stainless steel items. Do not microwave. 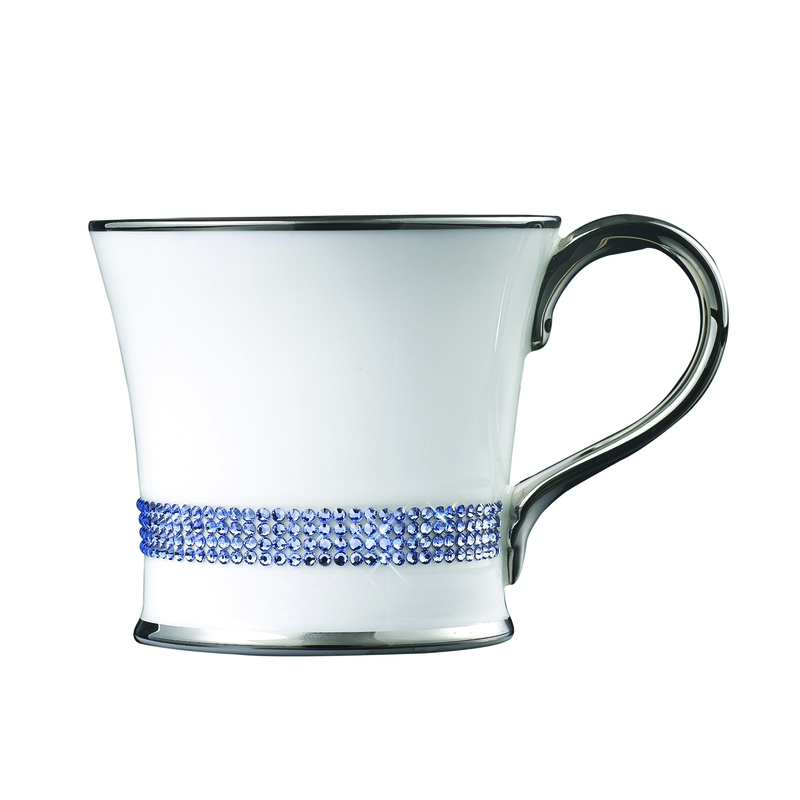 All Prouna items are sold with a one-year warranty for repair or replacement in cases where the Swarovski elements fall off due to the manufacturer’s defects; the warranty does not apply to cases where the elements fall due to customer’s mishandling of the product. 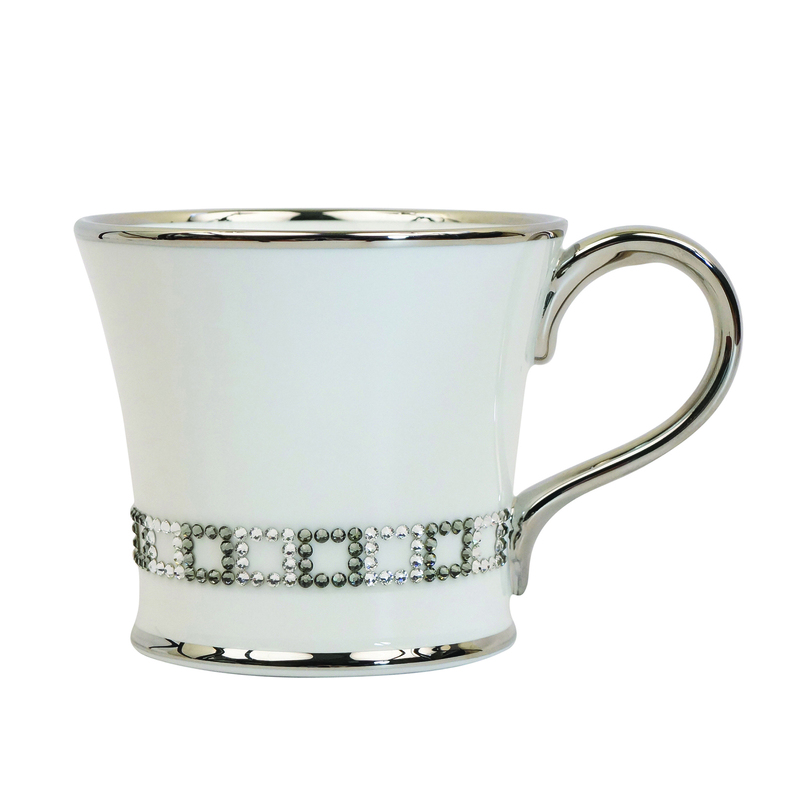 The manufacturer will examine every item sent for replacement carefully and will determine if the item qualifies for replacement. 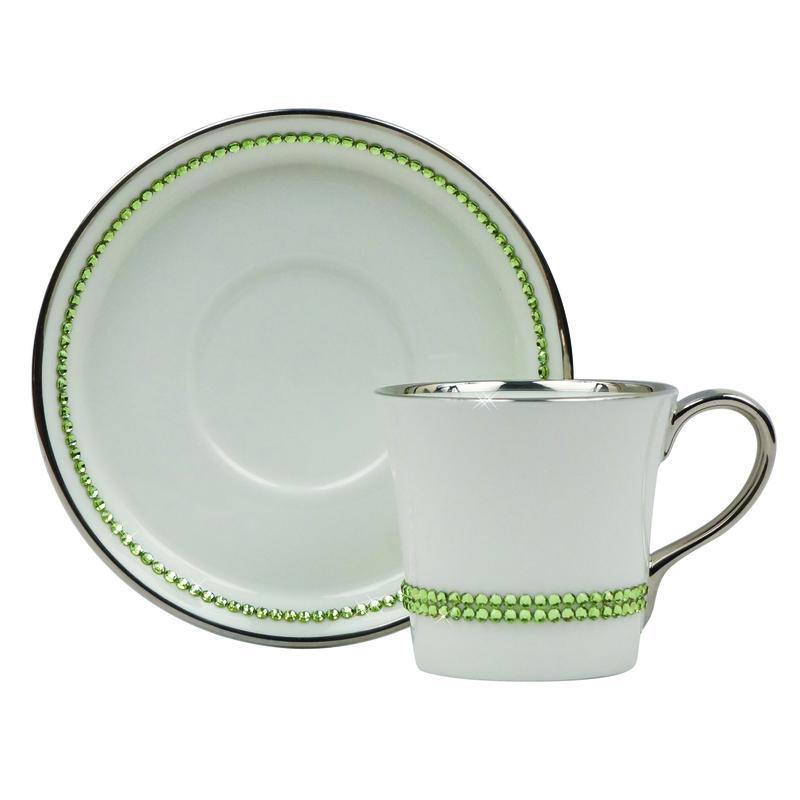 Storage: We recommend storing plates separated by a soft cloth or towel. 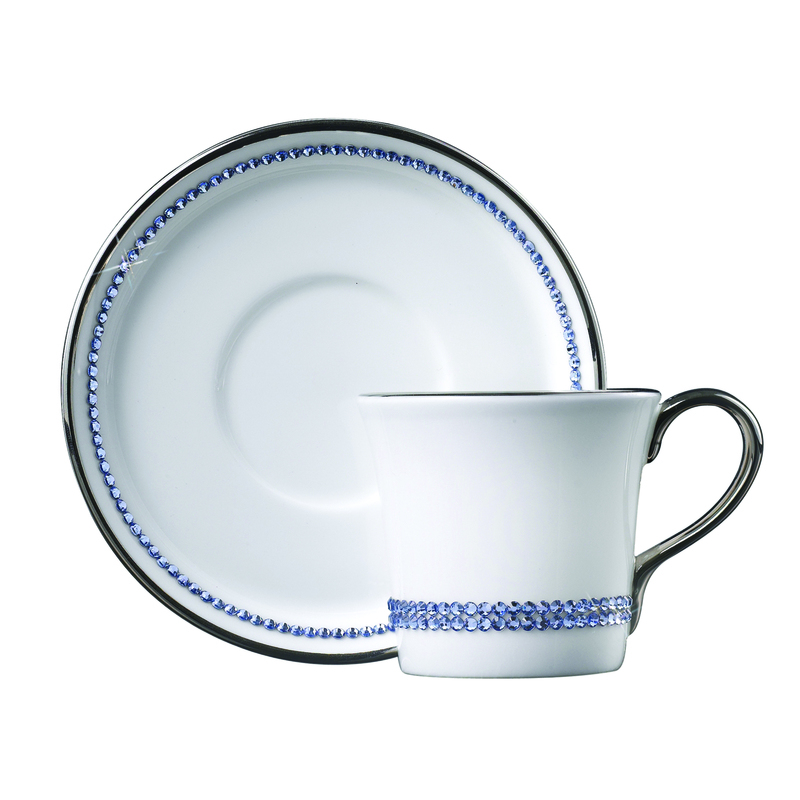 Plates should be stored on durable shelves as they are heavy. 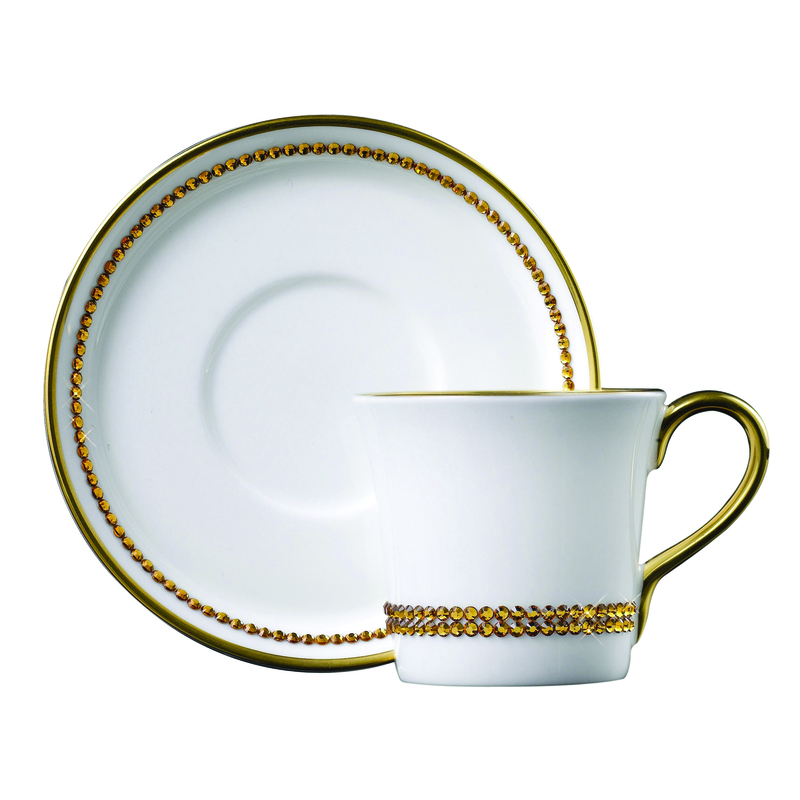 Made at the Hankook Chinaware factory in Korea. 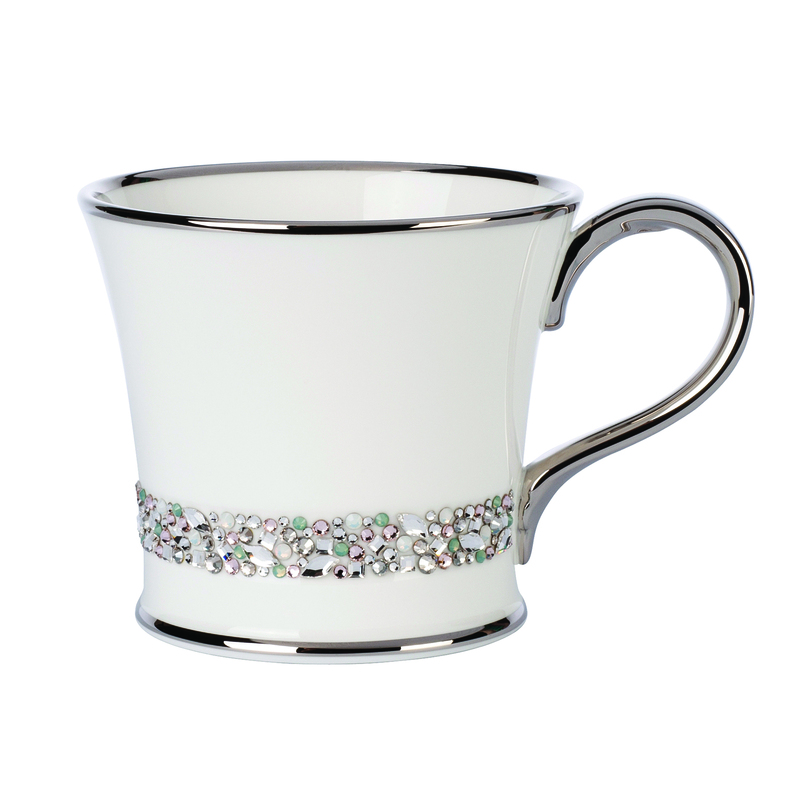 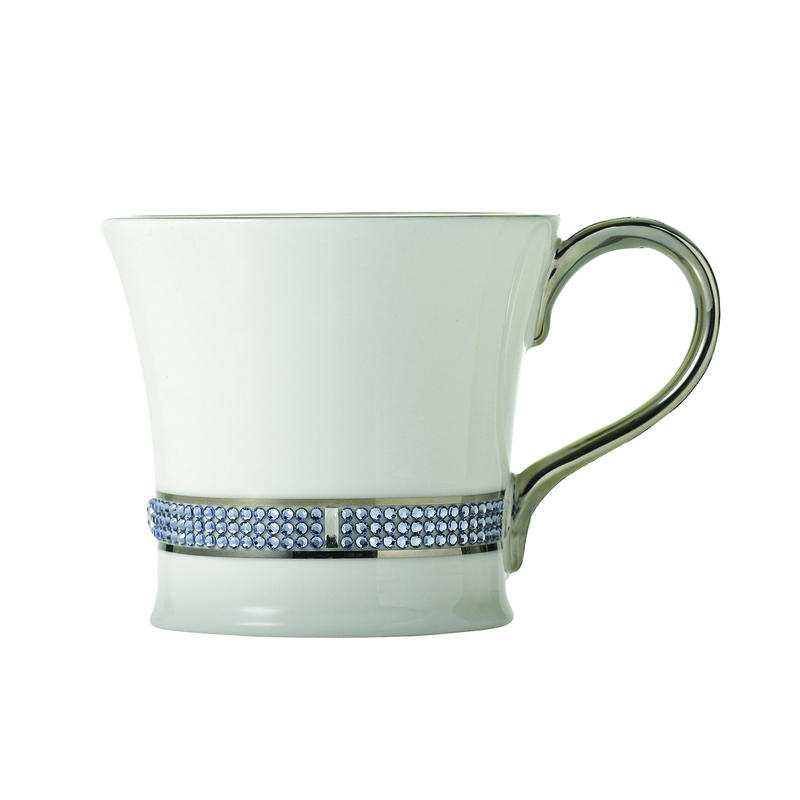 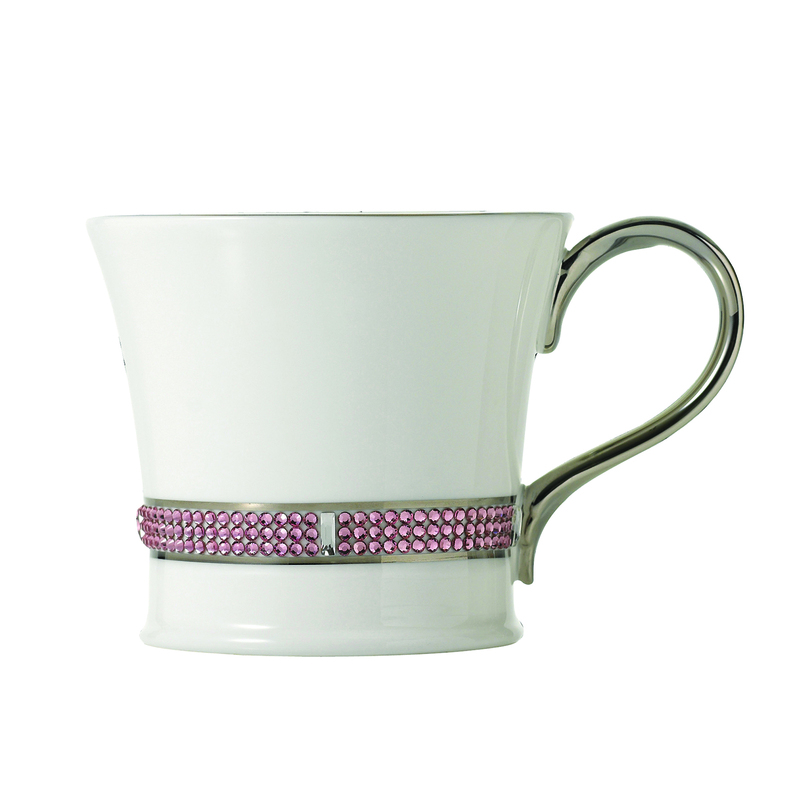 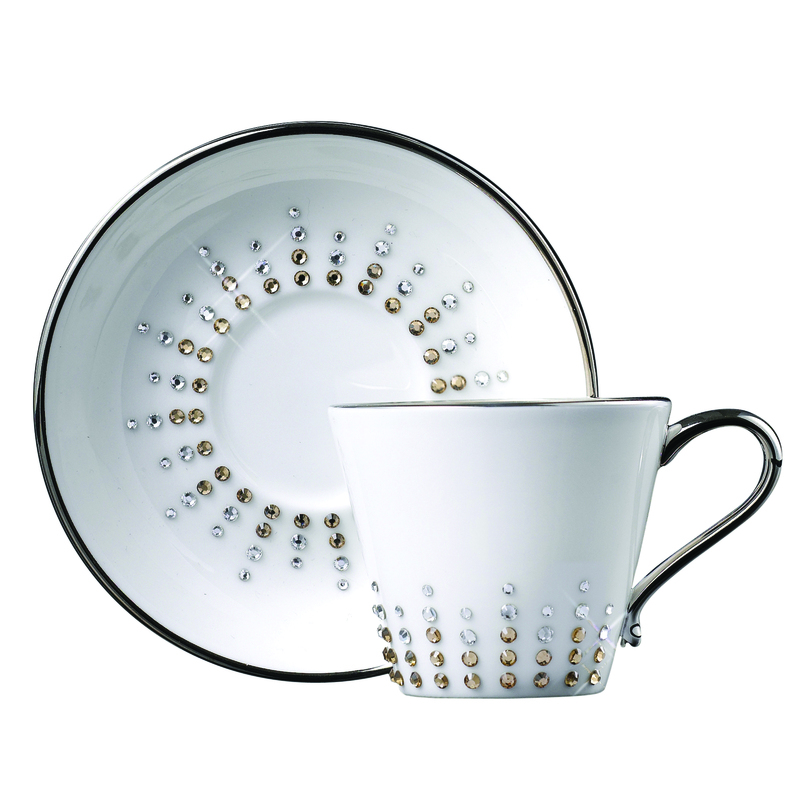 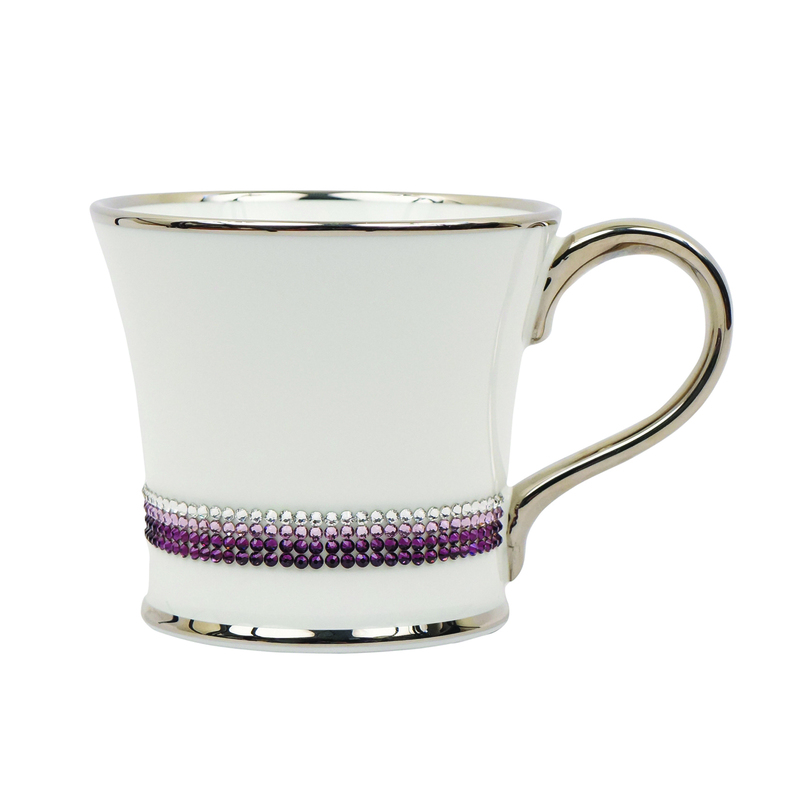 Specializes in fine English bone china decorated with Swarovski Elements crystals. 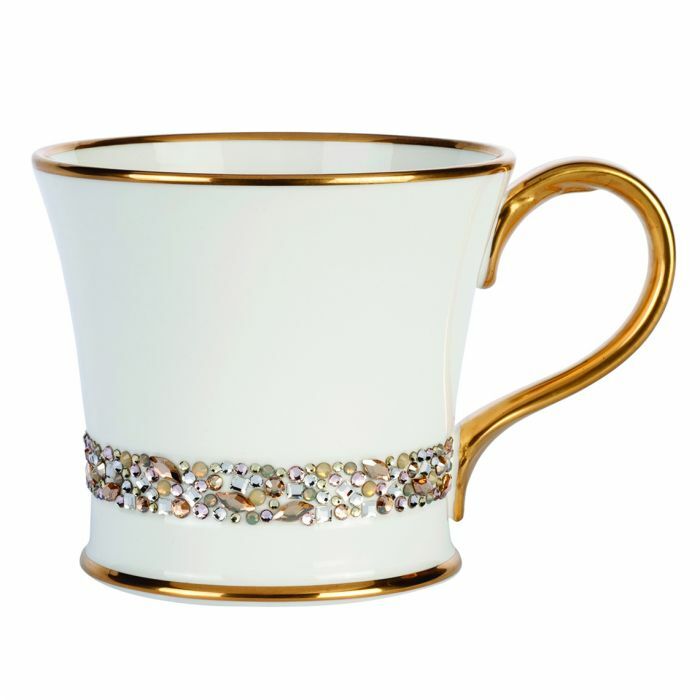 Hand painted with 24kt gold or platinum. 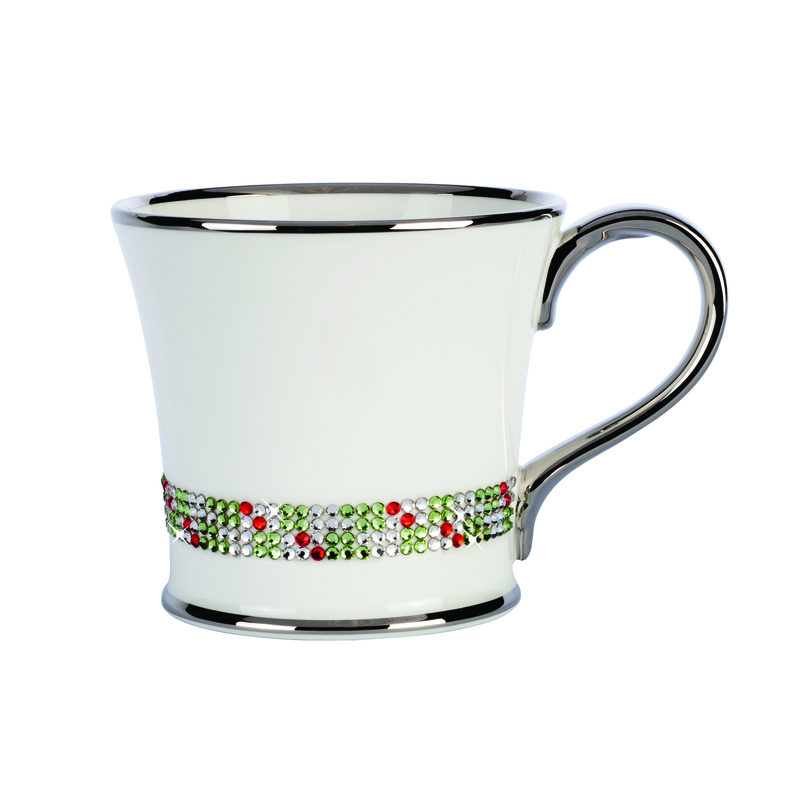 Unique look that's both festive and refined.